Great Riches Await - And Greater Danger! As war-ravaged Cormyr tries to rebuild, a host of eager seekers - expert adventurers, hardened mercenaries, scheming wizards, misguided patriots, covetous rivals, and more - scramble to find the dragon's treasure. Will your band of heroes venture across the dangerous landscape of the Forest Kingdom to secure Cormyr's future, or will they seek the hoard for themselves? 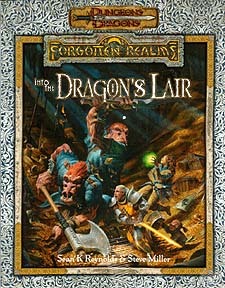 This adventure is inspired by the novel Death of the Dragon by Ed Greenwood and Troy Denning. Details of the novel are presented herein.